Re: The Maiden Voyage of Eonar. The Maiden Voyage of Eonar. Re: Spoiler Alert! Hippies rejoice! (( Aha yes naked paintings, though perhaps not the tone I was trying to capture, still nice to look at! I'm struggling most to think of where this could fit into the lore. I don't know and haven't found much about how Northrend was discovered or when. Maybe it's a trip of discovery; the Quel'dorei growing bored of their surroundings and deciding to 'see what else is out there'. Or perhaps it's a lot simpler than that; a ship is crossing the sea between Kalimdor/E.K. and sails too close to Northrend and the rest is history. About character development and death- I don't know whether characters should be vaguely outlined and their roles explained a little bit and then alocated, as this would give a form of structure. But if done wrongly it poses the danger of being constricting and static. Maybe give very un-detailed character slots, give people the option to take a person and develop them, or maybe allow a character to step-in? I don't like the idea of reverse-engineering character's that much, hence why I'm asking for people's input. (( I just an idea that came upon me whilst watching a film (No prizes for which film) and I thought it could translate well to the WoWrld. The story of the Titanic's only voyage is well documented and I think most people have at some point thought ''I wonder what that was like''; there certainly is something alluring about the ironic flutterings of the upper-class citizens and the naive celebrations of the lower decks, that were all ultimately doomed. Add this scenario to the world of Warcraft' and it becomes even more exciting and diverse. I'd love to see how the different races would pan out onboard the ship, the contrast between the decks, the use of magic in the machinery and the fatal build-up to the moment where it all climaxes. I haven't quite thought through all the details, for example I'm unsure as to how to deal with the Horde/Alliance division, the makers of the ship, the journey and the time period to set it in; however to me, the idea is so exciting I think it'd make the perfect Forum RP, using alts etc' and maybe the odd long-lived familiar face. So I thought I'd just gauge interest and see if anyone had any ideas that would make it lore-friendly and if anyone would like to make it 'a goer'? - Rose;- ah, that is, Grace. Major dislike of this! 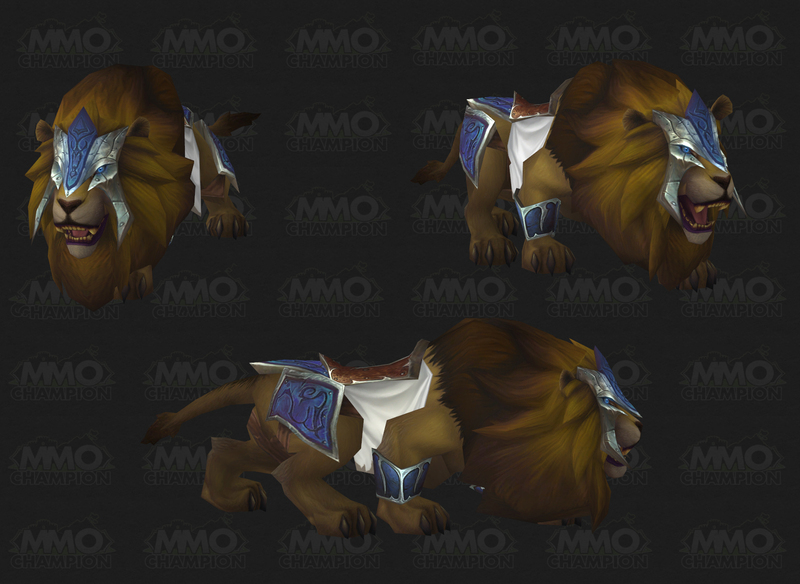 I'm really hoping this is just a method of prolonging the final Mount Decision for Worgen. My - and alot of other people's - Worgen RP is going to be based around trying to hide my fangs, so having to lollop through the forests isn't going to fit in at all. And I bet that we'll have our tongues hanging out. /dissapprove. This does mean the worgen are not bringing faction mounts to the table which other Alliance races can access. Oh god. I just squeed majorly. Has anyone else seen this? Me. Need. In. My. Life. Looks like the blank bits are for the Guild Symbol /sadgasm. What do you guys think? I haven't actually come across him yet in the Beta. I thought that if he'd appear anywhere, it'd be in Hyjal. Most of the old crew are there, and there's even a series of Quests involving the re-awakening of some assorted Forest Spirits. But no Cenarius. Murlocks are more disgracing then naga. Atleast naga are a foe to take seriously. Seriously, by the time you guys are through with Vashj'ir, you'll never want to see a freaking Naga again.